Lipstick is applied quickly and evenly with the aid of a stencil just invented. 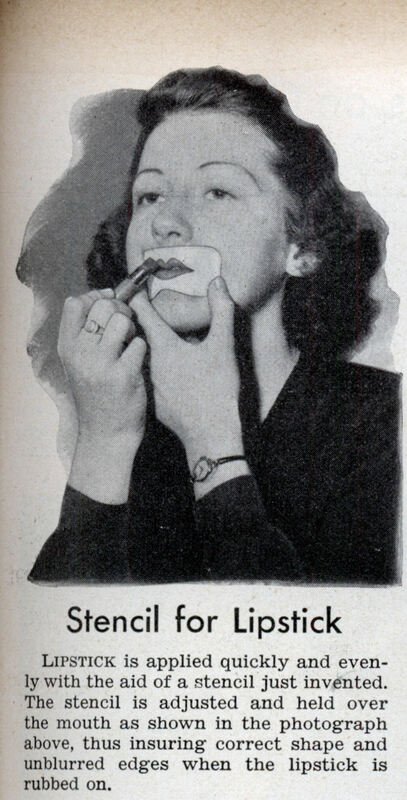 The stencil is adjusted and held over the mouth as shown in the photograph above, thus insuring correct shape and unblurred edges when the lipstick is rubbed on. 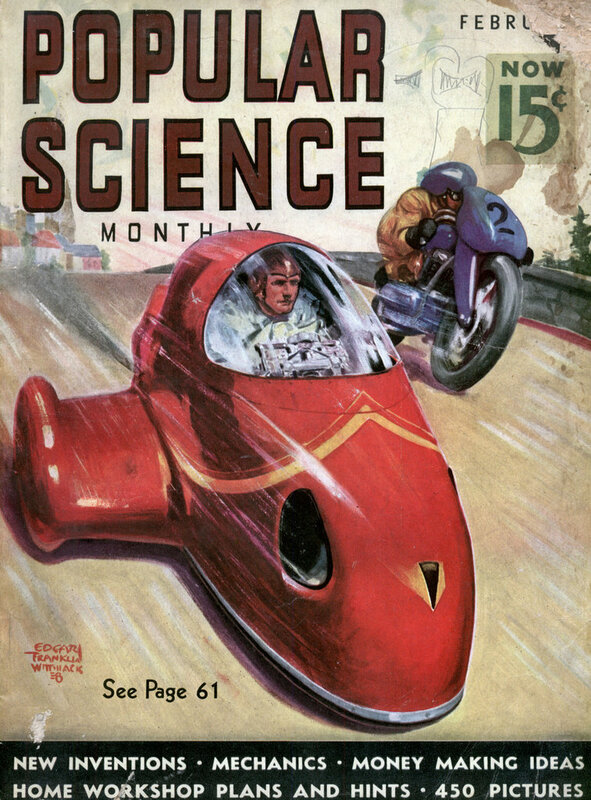 And if you use Krylon “Chinese Crimson” instead of lipstick it won’t rust. Strangely, that white stencil looks like clown makeup. Creepy. I wonder if these came in more than one size. I hope it comes with plumb line and level to make sure it’s centered and horizontal.